ICAC Members, front (l. to r.) William “Bill” Mosner, Thaddeus Robinson (Chairman), Greg Smith; back (l. to r.) Kristen Daily, Heidi Gold, Ann Hunter. Not pictured: Richard Auerbach, Charles Horton, Conrad Jones, Curtis Jones, Thomas Nordeman, Walter Proschinger, Virginia Simmons, Paula Smith, Trevor Ingram-Cady, and Bruce McElrath. The Inglis Consumer Advisory Committee (ICAC) assists Inglis by monitoring and recommending strategies to reduce barriers to independent living, and improve the effectiveness and responsiveness of service delivery systems for individuals with disabilities. ICAC evolved out of a Community Health and Human Service Advisory Council assessment process that took place during 2002. That Advisory Council’s purpose was to assist Inglis in identifying opportunities to improve the quality and scope of Inglis services. The Council - comprised of representatives from area healthcare organizations and disability agencies - explored and assessed the range of services provided to people with physical disabilities across the region. One of the Advisory Council's recommendations was for Inglis to establish a consumer advisory group that would report to the Board of Directors of Inglis Foundation. 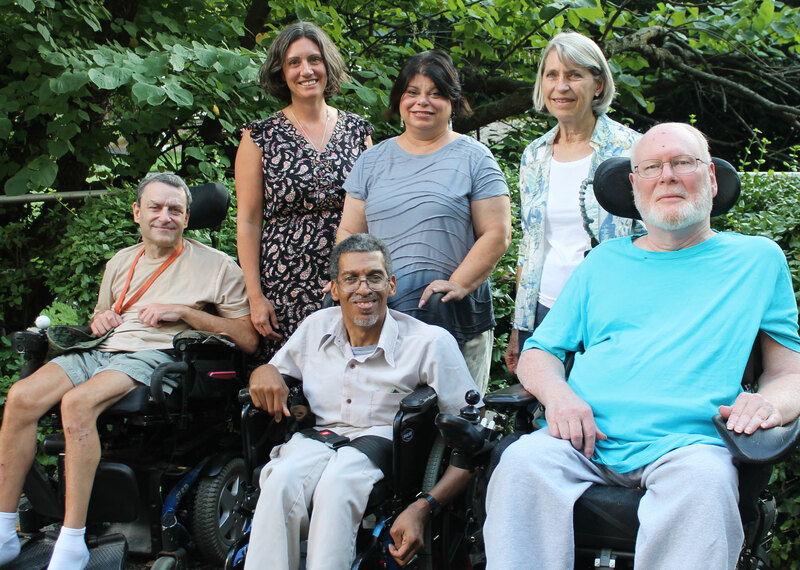 This consumer-directed advisory group's goal was to identify barriers to independent living and recommend improvement strategies to the Inglis Board of Directors. ICAC members are individuals with physical disabilities as well as others who are dedicated to promoting and advocating for the independent living needs of persons with disabilities. If you are interested in joining ICAC, please contact Nicole Pruitt at nicole.pruitt@inglis.org.